« Oil Company cuts jobs at Solarex, BP “Big Plans” for the Future! November 2003 – These are the notes. 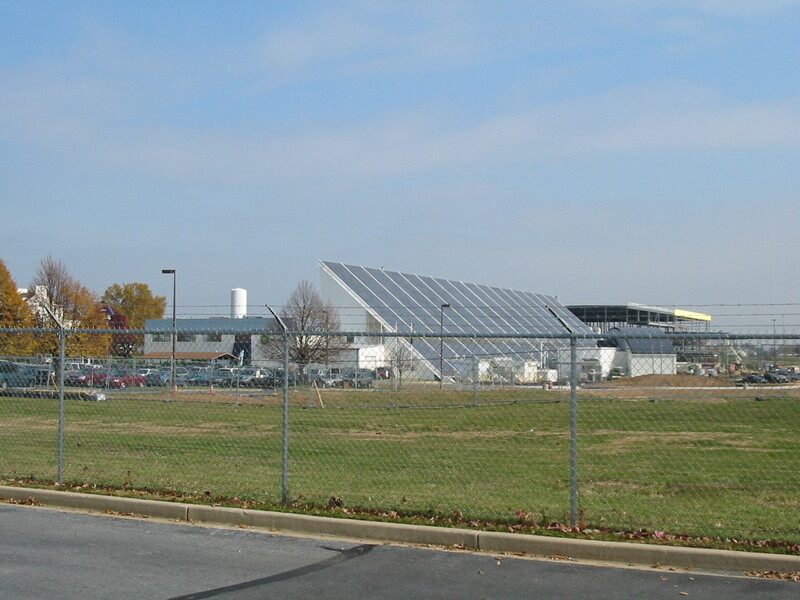 Jefferson County, WV residents toured the BP Solarex facility in Frederick, Maryland. In attendance were John Henry Dale, Michael Shor, and Walton Stowell Jr. & Sr.. The following information is based on notes taken during the tour and official Solarex publications. Special thanks to Public Relations representative Debby Burgon. They did not allow photographs inside. Although Solarex is now owned by British Petroleum, the Solarex plant was owned by Amoco & Enron in the 1980’s. Now BP Solar boasts that their “Projects Group designed and supplied over 50,000 systems (totaling 70MW) and managed over 25,000 installations (nearly 15MW).”, and “completed installations in more than 150 countries (a record unmatched by any other company in the industry)”. First on the tour was the Casting Room and the Sizing Room. Michael asked what Silicon cost per # . The ‘crystalline operations’ and ‘tech center’ contained blocks of ingot, crystalex controllers, and a large cutting room 1=> 25 bricks / casting station vats. An ‘ingot crusher’ machine cranked away as a loud speaker echoed in the docking bay. Terms such as ‘silicon powder’ and ‘top-cut’ were discussed and cylinders were cleaned with corrosive chemical bath. Next was the ‘hot form block melting room’. The ‘wafer cutting room’ contained many purple, pink, orange ear plugs; white suits, grey slop gloves goo, and blue slippers. This is where ‘template calibration’ for the solar cells took place also. Next an Airlock leads into a blue floor, where wafer separation, cleaning, and setting begin. Automated cleaning and etching stations occurred in glass tanks. (SiN) Silicon Nitride 240 microns = 3-4 sheets thickness. A violet / dark blue wafer coating with “silver paste” was then baked in aluminum. These would go to a drying furnace in front and back lines with automated tooling systems. The cost of a solar system is directly proportional to how much energy you require. Small cabin systems start at a few 1000 dollars. A typical household system could cost anywhere from $10,000 to $40,000. “Clean Power Estimator” = evaluates $ saved contact section to discuss design with a distributor. Array combo – Inverter – Utility kw/h meter. Currently prices are still not economically feasible or comparable with grid power in most states. Illinois has a very limited subsidy program for homeowner, like in Japan and Germany. Skylight connector modules have (leads) silicon-nitride covering over wafers. This entry was posted on March 29, 2010 at 8:34 pm and is filed under Alternative Architecture, Sustainability with tags BP Solar, companies, East Coast, electricity, energy, Frederick, Maryland, MD, oil, pollution, power, solar power, Solarex, USA. You can follow any responses to this entry through the RSS 2.0 feed. You can skip to the end and leave a response. Pinging is currently not allowed.